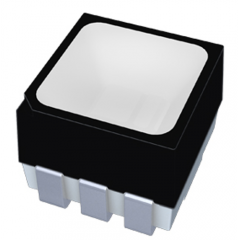 1) Taiwan Epistar LED chip, with super-high brightness LED, high contrast. 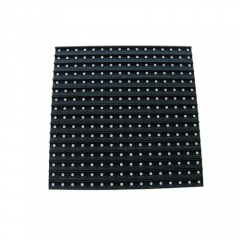 2) A-class LED display module frame and mask, which could endual harsh weather. 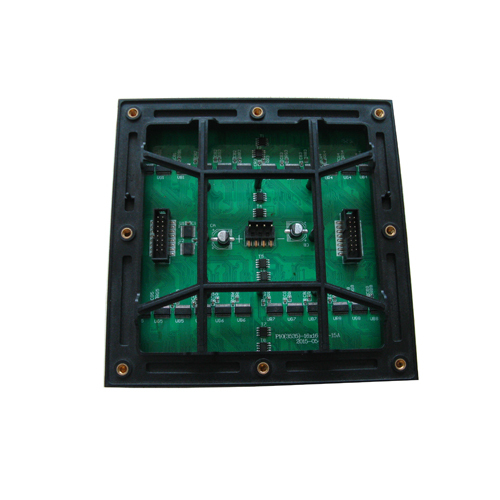 3) Fiberglass green enviromental PCB with 18mil thickness copper plating. 4) High frame frequency, wide view angle with excellent visibility and good performance. 5) With module development and distributed scan technology, high reliability. 6) Universal DC input / full range. 7) IP65 protection level, outdoor solution. 8) PC synchronous or asynchronous control (optional). 9) Use common video play software, easy to use. 10) Quick and easy assembly and disassembly. 11) High brighness and refreshrate. Widely used in advertising LED displays, stadium perimeter LED screen, mobile led display for mobile media, shopping mall LED billboard for logo showing, bank & stock exchange LED message signs for rates showing, train & bus station, airport, telecommunication LED video wall system forinformation showing and instruction, Stage performances ect. ● High brightness and clearly led display effect with easy use control system which allow you easy become enviable led display experts. ● High intensity and can be adjusted, so can meet the request of the customers according the application environment. 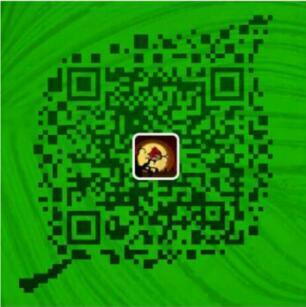 ● To pictures and character, have clear, exquisite and real display effect. ● Big viewing angle to 120-150 degree at horizontal line, 120-150 degree at vertical line, you can see at every angle at this range, no picture change, no color excursion. ● Best equality, have the excellent consistency of light. ● Can repair each led lamps, so the cost of maintain is lower, and easy to repair. ● Our most basic guarantee: the aging time exceeding 48 hours. Malfunction dot rate less than 0.0002. MTBF more than 5000 hours. And the EPISTAR assuring high brightness and long lifespan. 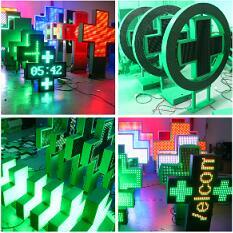 ● We are a professional manufacturer, has its own factories and production lines. Without middlemen and trading companies, our price is more competitive, quality is more reliable. Our price is more competitive, quality is more reliable.